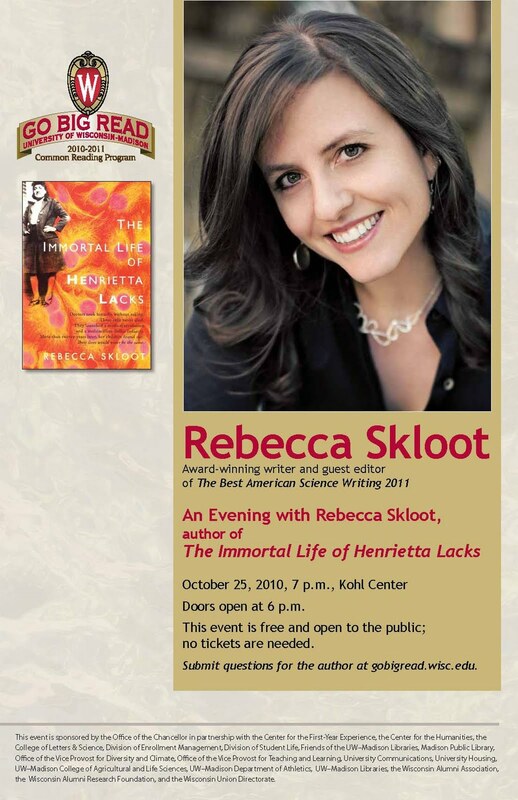 We hope everyone can join us for Rebecca Skloot's October 25th lecture at the Kohl Center. The event is free and open to all. The event will begin at 7 pm (doors open at 6 pm) and no tickets are required. If you'd like to suggest a question for Skloot, you can post one here until October 18th. Because of the large scale of the event, the question-and-answer session will be moderated and questions will be selected in advance.